Fire and smoke damage can have a severe impact on your home or business. Fire wreaks havoc on your respective facility and leaves countless necessary repairs in its wake. 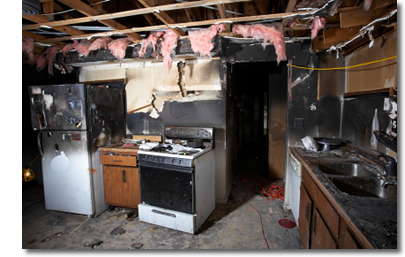 Restoration Solutions is committed to immediate emergency response to fire damaged homes and businesses. Our team is certified and trained in fire and smoke restoration and can capably handle any amount of damage you’ve experienced. Be sure to call us first to handle the job. We will communicate directly with your insurance company to enable the project to reach completion as smoothly as possible.